It is definitely Christmas everywhere! Last November 16, 2017, an astonishing light and sound show at no other time found in this piece of the city, introduced the Christmas season. We witnessed a heavenly Christmas display as Ayala Land Inc., in the soul of appreciation, brings its very acclaimed lights and sounds show to Quezon City this year. It was an enchantment early Christmas to the media and bloggers as Ayala Land Inc. brought the main ever Vertis Northern Lights, a charming Christmas fete designed after Makati's Festival of Lights, to northern Metro Manila this Christmas season appropriate in the core of Quezon City. Past spreading mystical minutes, the show intends to unite individuals in the soul of appreciation for the many delights that Christmas brings. The show started as the Ateneo De Manila College Glee Club serenaded everyone with Christmas songs. RJ Ledesma hosted the event and together with Jay Teodoro, Estate Head for Vertis North; Rudy Palma, Brgy. Captain of Brgy. 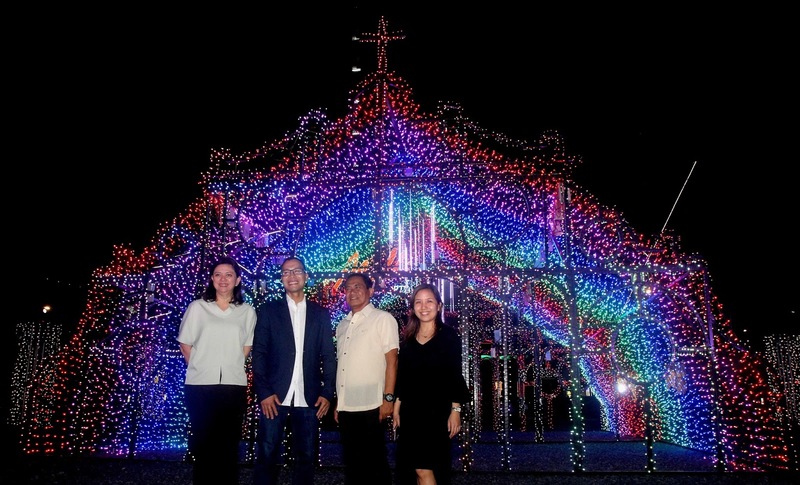 Bagong Pag-asa; and Cathy Bengzon, Head of Corporate Brand, Ayala Land Inc., they rang the bell as the giant Cathedral dazzlingly secured with a huge number of lights, comes on fire at the Vertis North grounds, changing it into an enchanted wonderland that enlivens the miracles of Christmas. It was even splendid when the UP StreetDance Club and Parkour Ninja Dance Group danced their way to the music. The subject was propelled by the Filipino culture of going to Simbang Gabi, where Christmas season in the Philippines starts. This binds back to the possibility of the Vertis Northern Lights connoting the begin of Christmas in Vertis North. The light establishments are certain to wrap everybody in the delights of the season. Veering endlessly from the customary red and green Christmas hues, the Cathedral is hung with thousands of LED lights for the full creation which incorporates digital circles, meteor lights, shrewd lights, and laser lights that creates an assortment of tints. The stylistic layout' was delightfully executed by prestigious originator Zenas Pineda, and the Cathedral by grant winning Voltaire de Jesus. The melodic mixtures have three particular topics – Pinoy Fiesta by Roy del Valle, Traditional Christmas by Von de Guzman, and Techno Christmas by Tris Suguitan. Every one brags of an alternate state of mind, pace, and mood while holding the Christmas cheer that brings individuals together and envelopes everybody in the soul of the season. All through the Christmas season, different exercises will be held at Ayala Malls Vertis North, Seda Vertis North & ABS CBN Vertis Tent– from Christmas Bazaars to occasion deals, to Christmas hymns at the hall and numerous additionally energizing exercises and promos. 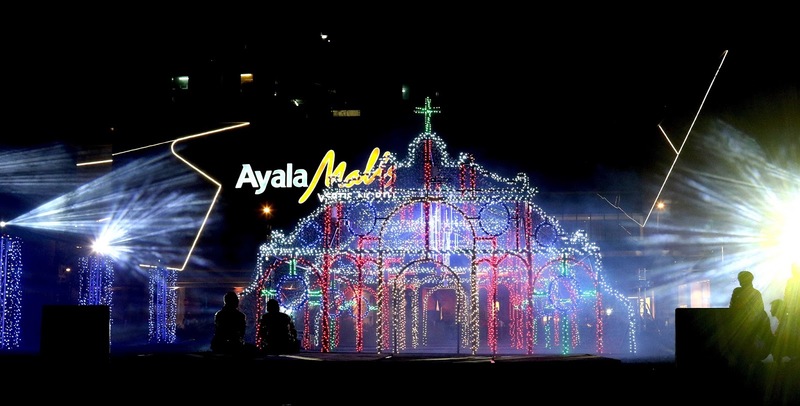 The lights and sounds indicate is currently present in the Ayala arrive Estates, to be specific: Makati, Nuvali, Bonifacio Global City, Centrio - Cagayan de Oro, and Ayala Center Cebu – spreading the sights and hints of Christmas to more individuals. residents of northern Metro Manila as an unforgettable Christmas tradition in this part of the city. You can also watch my vlog here. Catch it daily from November 16, 2017, to January 8, 2018, from 6PM to 10PM. Ayala Land is the Philippines’ leading developer of sustainable estates, offering a diverse mix of properties such as residential, retail, office, hotels, and leisure developments, that support local economic growth and nation-building. The company was established in 1988 as the real estate arm of Ayala Corporation, a pioneer conglomerate, and builder of the country’s premier financial and commercial district, now known as Makati Central Business District and Ayala Center. nationwide. It has five residential brands, namely Ayala Land Premier, Alveo, Avida, Amaia, and BellaVita, which deliver quality homes to a broad segment of the housing market. Its commercial development and leasing portfolio is comprised of Ayala Malls, Ayala Land Offices, and Ayala Land Hotels and Resorts Corporation.